I live in the darkness. My occupation is to secretly record stuff. Interest in the 2018 level survivor? Hey Rrob! This is Primetime! Remember me? I recall that you were one of the most active participants in the GD Level Survivor of 2017. Would you be interested in partaking in the level survivor this year? Probably not. I pretty much left this wiki a while ago. I wouldn't even know about this message if it weren't for the e-mail notification. You've called inactive, which is alright, but it'd be good to have some idea as to how long you think might be out for. Approaching two months of inactivity, moderator rights come into question. Do you think you'll be needing them in the future for anything? I think I don't need my moderator powers anymore. I have more interest in other things now and school life has made me busy. Do you think you’ll still be checking into the wiki much? Either way, I’m proud to have had you on board as staff and thank you immensely for having contributed so so many image uploads. It’s certainly been a good run! Not much. Only when I'm bored. Hehe. UHD gamesheet graphics are out. Since you’ve been excellent with this, would you be interested in helping us update a few of them? Any word on UHD files being made available? That's all for today. Sorry for the late response, been busy for a few weeks. I think I can do the first one, but I don't have the time to do the 2nd nor the 3rd one. Sorry. No news about the UHD files. Well you've done 33% of what needs to be done. Good job. Do you know of anyone with a hacked version of the game that could possibly get to the desired locations instantly? Hey Rrobertus. It's been a while, hey? I've got a bit of image work for you if you're up to it. Just a few small batches, a few trigger, transporter and trail images. The TTTriple challenge. What do you reckon? Great. I imagine you still have access to the gamesheet. First, could you check that the trail images are all correct and are the versions used in game? Next, I believe you added preliminary versions before Update 2.1 was released. Could you update the newest transporter images to higher quality versions? Lastly, you helped upload the map components including triggers. The new ones from Update 2.1 were uploaded, but not by you and they are all smallish compared to the ones you did. Could you also replace these with larger high quality versions straight from the gamesheet? The trail images seems correct to me. But I don't think I can update and replace those images with a higher quality ones since I only have the HD version of the gamesheet. It's half the size of the UHD version which I used to get the older images. What's stopping you from obtaining a UHD version? There are no UHD version on the gamefiles. I like to stay informed, so I probably should have asked about these things earlier. 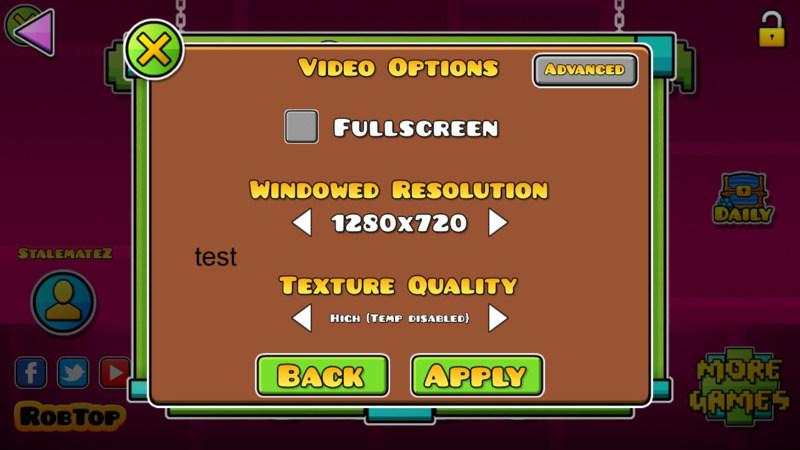 The UHD textures are the high quality versions of the game's files. They are not there because they were not released in the rush of 2.1 and are awaiting release on 2.2. The extraction procedure is the same for everyone, so I will get that. Game root directory. If acquired, the folder "Resources" has everything that is in-game. How many... what? If asking for sheets, a fuckton in all kind of extensions and sizes. Low quality, medium quality, high quality. As of now, only LQ and MQ are available. Everything, we have sheets uploaded to the wiki if you happen not to remember. Check them out. I do not think you need an explanation as to why each update has a different sheet. Photoshop. Just delete the white background and drag the image anywhere else in a .PNG format for transparency. It is 2017. You should not be asking these questions. Hacko, please. Basically what Nusdan said except I used paint.net to extract the images. If that's the case with the gamesheet qualities, the trigger images will have to wait. With regard to the others, you should be able to improve upon the transporter images. I also heard somewhere that there are actually eight trails but one was either removed or changed in-game. Could you look into that? Also, the trail images we have come from different sources and differ in size, so it would be good if you could provide a more consistent lineup. Plz don't hurt me Ndsaun. I can't improve the transporter because of the same reason as why I can't update the trigger images. I have updated the trail images, and do you mean by this when you said there were eight trails? Some of the newer transporter images (eg. black ring) look a little edgy. Are you sure they're the best versions available? Hmm, yeah. So why am I also seeing different trail icons in the shops? I'm not sure exactly which trail icons we ought to be using. Do the unreleased trails have icons to upload? You tell me what's going on here. Also, I was going to ask about dialogue images. It's a newer image series that includes the sprites of characters, the vaultkeepers and shopkeepers. We have 1 for Spooky, 4 for Glubfub, 2 for the Chamber of Time vaultkeeper, 2 for Scratch and 0 for the regular shopkeeper. Are we missing any and if so, could you upload the highest version of them? Yes, I cannot find anything with higher resolution than the HD one. I don't understand what you mean by different trail icons. I don't see any other trails other than those seven. I found 1 for Spooky, 2 for the Chamber of Time keeper, 4 for Glubfub, 7 for Scratch, 2 for the normal shopkeeper, and 2 for the green demon on the dungeon. What should I name the ones for Scratch and the regular shopkeeper? If you take a look at the Shops article, there are a few trail icons for purchase. These look different to the ones currently uploaded, which has been confusing me, alongside the fact that there are other non-used trails apparently. Ah, good finds. They've so far been named '[name]Dialogue##'. I can always fix this if you make a mistake. For the missing images, for now you can name them 'Creature', 'Scratch' and 'Shopkeeper'. Uploading all these effectively means having successfully uploaded every recognisable image to the wiki (with the exception of countless map components). That would be a fantastic achievement. Get us there, man! ...and they need better sizes. All of them can be re-made in some sort of drawing except for the fire trail, which can easily be proportional in terms of size to the rest of the trails, only if these are drawn within the fire trail's size. The remaining 3 in the [] page are severely unsettling and need a replacement for the actual trails, and deletion for improvement. Kudos, Nusdan, if there was a kudos button for message wall. Okay, so I think I've figured out the trail situation. Previews of the trails 5 and up revealed that four new ones were planned. Trails 5 (sustained single continuous line) and Trail 6 (sustained single dashed line) made it into the release. Prerelease Trail 7 (sustained skinny continuous lines) and Trail 8 (same but even thinner) did not make it into the release and were replaced with the fire trail for Trail 7 only. I never understood the graphics that the wiki has been using to represent the trails, since yes, they have all been inconsistently sized between themselves. Rrobertus, exactly what trails are being given on the gamesheet, for the Icon Kit, shops, and whatever else? EDIT: Dialogue images done! Congratulations! Here is all trails that I found on the gamesheet, with their respective icons on the icon kit. The size are not changed. One trail icon is 60x60 px. Unlike icons, trails images are definitely less usable in general. In mind of this, I think it would make more sense to people if we replaced the current trails with the icons displayed above in that image, which I'm supposing are also sized consistently. That should be the end of our trail woes, I reckon. Feel free to replace the current trails with the icon versions, Rrobertus. All I can really ask now is when do you think a UHD version of the gamesheet will be released so you can finish the transporter and trigger images? If there's anything else I can think of in terms of high significance map components we ought to include from Update 2.1, I think the bats and fireballs would be worthwhile additions, granted that both of them are listed under the Special tab in the level editor. Are the any others that may be worth considering? And to cram as much into this as possible so I don't ever have to go on image sprees again after this, would you be able to replace Star.png with a version that lacks a surrounding shadow? All I can really ask now is when do you think a UHD version of the gamesheet will be released so you can finish the transporter and trigger images? """"""""""""They are not there because they were not released in the rush of 2.1 and are awaiting release on 2.2""""""""""""
Personally I wouldn't call over a year in waiting a 'rush'. Might be that we receive Update 2.11 soon according to rumours which we don't know that Rrobertus does, Dunsan. It was actually rushed since it was supposed to take longer. Alright, for the trail images only, I have retained the older versions which will be shown below in the file history since they are semi-relevant being included in the game files. Once again, if there's any notable new Special tab map components from Update 2.1, such as bats and fireballs, those would be good to upload. You've killed the shadow, but this star version is smaller. Could you possibly retrieve a UHD star without the shadow? Almost there, Rrobertus. Brilliant work! Nothing is UHD in the gamefiles. .-. And most of the images are HD right now, so if you want a little bit of a low quality images, I can do it. Being thorough never hurt anyone. I am intent on achieving the highest quality possible and will ask as many questions as I can to have a clear understanding of the situation, and Rrobertus has proven he can tolerate it. Kudos, Rrobby. I was thinking that you might be able to access some previous version corresponding with Update 2.0 or lower that contains a UHD star. The image is used quite a bit around the wiki so a large one would be nice. Alternatively, you could take the UHD shadow star which is still in the file history and use editing software to remove the shadow. I've tried before but couldn't get a clean cut. You might have better luck. EDIT: I inspected the transporter images. It seems you weren't the one to upload the Update 2.1 versions so you might be able to provide unedited ones. I still have the 2.0 version of the gamesheet but I only found the one with the shadow in it. Maybe I can try and remove the shadow. Once again, see if you can provide replacements for the current transporter images not uploaded by yourself (the Update 2.1 ones). After doing some image work with Master, he's uploaded a series of new menus which suggests that there are other 'trigger' type components that haven't been uploaded. I wouldn't know what's what, so correct if I'm mistaken. In terms of map components I think should be uploaded to the wiki, anything new in Update 2.1 that arrived under the Special or trigger tabs, and any other non-design configuration objects, are significant enough to include. You know what? I reckon we should postpone uploading those new specials, not until the UHD version of the gamesheet becomes available. Do upload those last six triggers since the rest have already been uploaded. When you have access to the UHD gamesheet, let me know and we can carry on replacing the triggers, transporters, portals and specials. For now, your job is just about finished. Thank you! I was away when you posted that message. I dont have the time to look through these wikis. Wait, you dont have MDK in here? WAIT YOU DONT HAVE WATERFLAME IN HERE!!? Music, Gaming, Mathematics, Art, Science, Stories, Freedom, Peace, Difficulty, Puzzles, etc. I'll be happy in knowing I'm part of the etc. ...right? My favorite quote is "</div>"
Please reply to this thread when you have the time to work up a solid response. Thanks. Could you please close this thread I don't want it removed so people can still see it... I just need it closed until forums are removed. Do you have any screenshots of the time he said that? I dont have but i have memory! Sorry, but memory is not enough to proof that. What's the problem with the Cursing? Geometry Dash Wiki is a FANDOM Games Community.